The film integrates various types of artist manifestos from different time periods with contemporary scenarios. 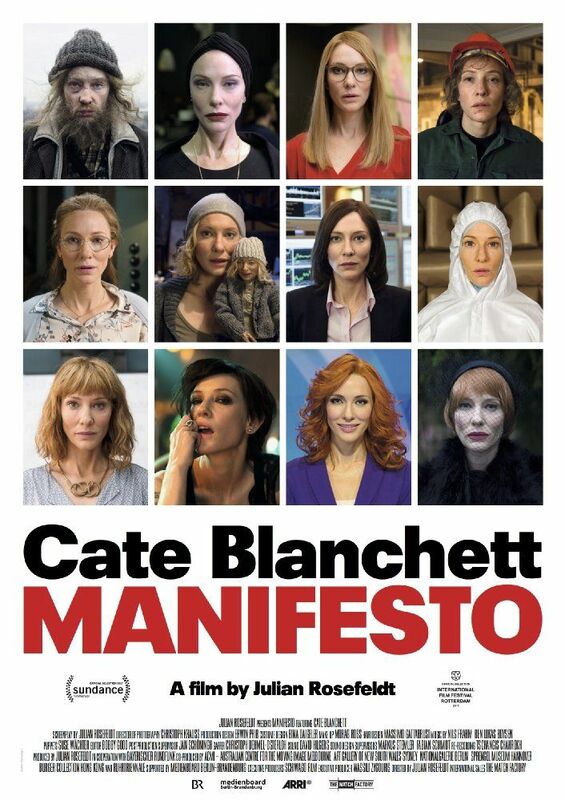 Manifestos are depicted by 13 different characters, among them a school teacher, factory worker, choreographer, punk, newsreader, scientist, puppeteer, widow, and a homeless man. Read more on Wikipedia.